Leaders of the world’s diverse industries and sectors will converge this week at Porte de Versailles in Paris for Viva Technology 2018 (or VivaTech, for short). The third annual gathering of the globe’s most brilliant minds, VivaTech is a celebration of today’s innovations and tomorrow’s possibilities. Bringing together and providing a platform for trailblazing startups and industry leaders alike, VivaTech promises to be a veritable melting pot of ideas and conversations on the positive role that technology can play in the acceleration of our businesses and societies. 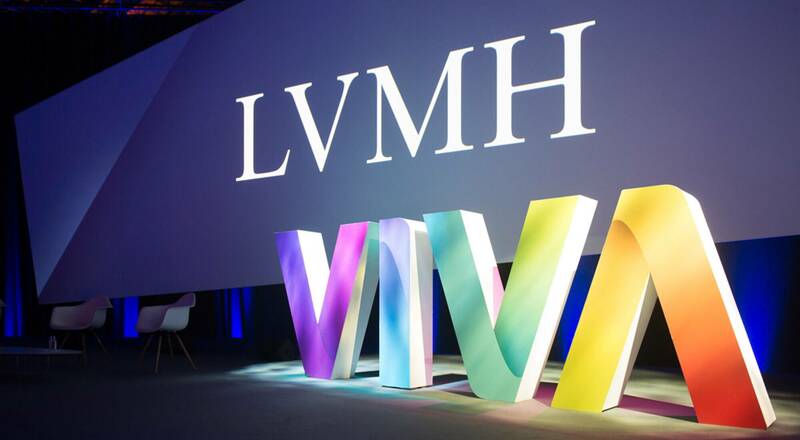 LVMH is part of the adventure for the third year in a row, back at VivaTech with 30 startups competing for the 2d LVMH Innovation Award; The winner will be revealed by Bernard Arnault, himself. From Thursday through to Saturday (24-26 May 2018), LVMH will take to the LVMH Luxury Lab stage alongside the great and the good of the globe to discuss the ever-evolving role of technology in our lives, our industries and our futures. With more than 68,000 attendees last year, you can expect VivaTech to raise that turnout for the 2018 edition – organisators are announcing 80,000 people. 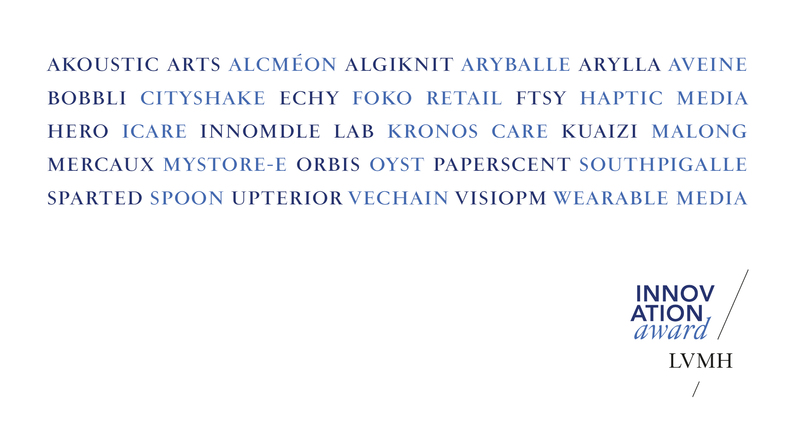 As a platinum partner of Viva Technology 2018, the LVMH group will demonstrate its continued commitment to innovation, which has played a key role in the Group’s long-term strategy in maintaining its leadership in five key sectors: Wines & Spirits, Fashion & Leather Goods, Perfumes & Cosmetics, Watches & Jewellery and Selective Distribution. From keynote discussions from a broad array of LVMH Houses including Louis Vuitton, Christian Dior, Ruinart and Benefit to championing grassroots innovation with the LVMH Innovation Award, here’s a flavour of what you can expect this week from LVMH at Vivatech. LVMH at VivaTech will open with remarks by Ian Rogers, who—after an illustrious career in the music industry—was appointed as the LVMH group’s Chief Digital Officer in 2015 with the remit of expanding high fashion into the digital sphere. His words will set the tone for the days to come and as thirty startup finalists pitch their potential at the LVMH Luxury Lab. 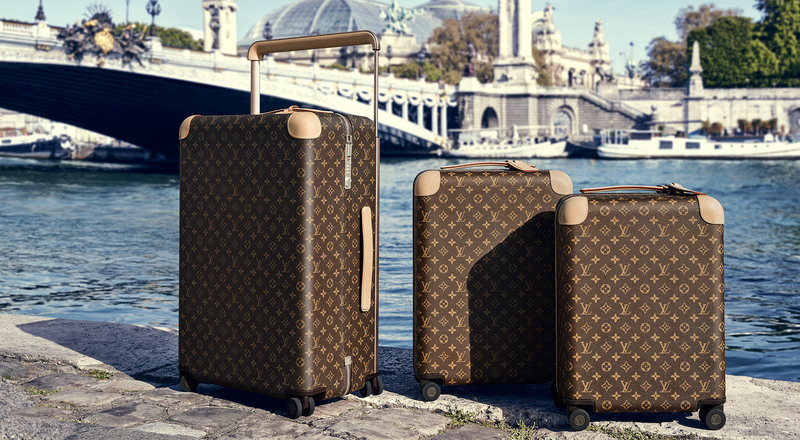 Complementing these pitches, a number of notable speakers from across the LVMH Group’s 70 distinguished Houses will answer the great philosophical questions of digital’s role in the luxury sector. Among them, Céline’s Digital Director will detail how fashion houses can unleash the potential of digital transformation and perfumer Francis Kurkdjian will discuss reconciling tradition and modernity on the path to crafting a legacy. With discussions in the afternoon from Krug to Moët Hennessy, the first day of LVMH at VivaTech looks set to effervesce. Keeping up the pace on day two, Chairman & CEO Bernard Arnault will preside over the LVMH Innovation Award 2018 Ceremony alongside CDO Ian Rogers and the LVMH Innovation Award Jury – which includes Alexandre Arnault, CEO of RIMOWA, but also Ginni Rometty, CEO of IBM, José Neves, founder and CEO of Farfetch and Jimmy Iovine, cofounder of Beats Electronics, among others. Narrowed down to 30 finalists from 800 applicants, only one budding organization will take home the honour of the LVMH Innovation Award 2018. The distinction will be awarded to the startup whose solution most impressed both the jury and the professionals and public present at the LVMH Luxury Lab the day before. From shining a light on innovation to innovating lighting, the first discussion of the day by LVMH Lighting Manager, certainly promises to be illuminate the future of hardware in luxury strategy. In the afternoon, we will make our encounter with Clicq’bot, the world’s first digital sommelier, conceived and developed Veuve Clicquot. In the afternoon, La Samaritaine’s horizons will be articulated as the historic monument’s Communications Manager and Athem take to the LVMH Luxury Lab stage to discuss striking the right balance between heritage and innovation. Saturday promises sibilance with senses, spices and sourcils on the agenda. In the morning, both Glenmorangie and La Grande Épicerie de Paris will discuss taking taste into the era of technology with the former looking at revolutionising the whisky experience online and the latter breaking away from gustatory tradition to focus on the invention of new flavours. Concluding the morning, LVMH Director of Digital Transformation, Isabelle Faggianelli, will provide an overview of the Group’s digital transformation past, present and future with particular focus on the impact of new work methods on the careers and culture of the luxury industry. After lunch, Benefit will raise eyebrows at the LVMH Luxury Lab with their SOURCILS LIVE experience before LVMH Director of Communicationdiscusses innovation as a tenet of the LVMH group’s success. The 2018 edition of VivaTech will draw to a close with the announcement of the winners of the Grand Prix VivaTech. One thing is certain: The 2018 edition of VivaTech is sure to raise the stakes on previous years.